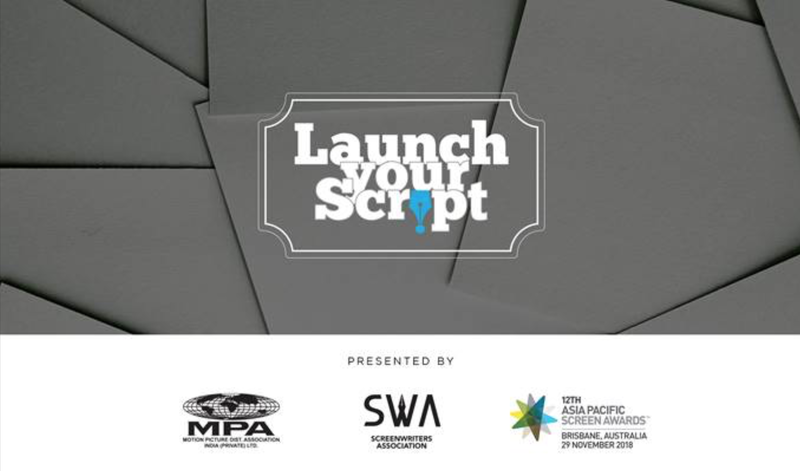 Motion Pictures Association (MPA), Screenwriters Association, India (SWA) and the Asia Pacific Screen Awards (APSA) have announced Launch Your Script – 2018, an outreach program for script development. This is an opportunity for Indian screenwriters, SWA members as well as non-members, to submit their feature film scripts to win a grant of US $ 25,000. Screenwriters can enter this program by submitting online their one page synopsis, in English, for the first round. While one can send multiple entries, an entry fees of INR 1000/- shall be paid per entry. MPA and APSA annually award four script development grants of US $25,000 each to APSA Academy members at the awards ceremony held in Brisbane, Australia. In 2017, SWA member Suman Mukhopadhyay’s script titled Paradise in Flames was one of the four recipients of the MPA APSA Academy Film Fund. Chance to win a spot in the LATC Global Film and Television Program in Los Angeles. Select Treatments will be submitted for the script development grant (USD 25,000) to be considered by the MPA APSA Academy Film Fund jury. To participate or know more about the program, click here. NOTE: Go through the Rules and Regulations/ Guidelines/ Terms and Conditions properly before submitting. This entry was posted in Notices on June 18, 2018 by SWA Editor.